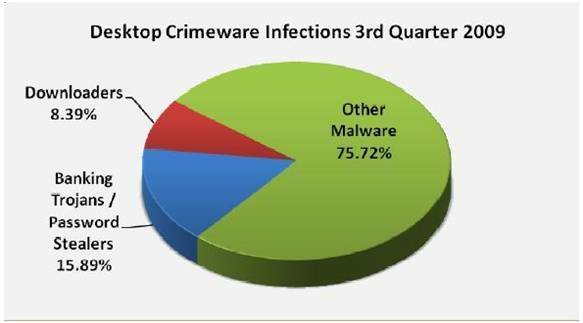 Out of 22.7 million computers tested for malware, 48% were infected according to a new Phishing Activity Trends Report by the APWG (Anti-phishing Working Group). Is your computer among the infected half? Are the computers of friends and family members who send you photos, other attachments, and links in the infected half? Will friends and family infect you – or you them? Keeping computers and other internet-connected devices free from malware is the responsibility of every single internet user. A secure computer is critical to protecting your finances, privacy, and reputation. It is critical to being respectful and protective of friends and family. And, it is critical to doing your part as a responsible upstanding digital citizen in protecting the internet for all users, and in defending your country against digital attacks by criminals and terrorist groups. There are many companies, organizations like the AWPG, law enforcement, and government agencies leading the defense of the internet, but these defenders cannot succeed without your help. Every computer or other internet connected device owner must do their part. Online crime busting is just like our standard crime busting efforts. Law enforcement officers lead the way in preventing and detecting crime, but every citizen needs to lock their doors, protect their homes and families, and report suspicious activity. If your computer does not have up-to-date security software that automatically updates to keep your computers at the highest level of protection, install it now. If you cannot afford to pay for anti-virus and anti-spyware products, many good options are free. This entry was posted on Monday, February 8th, 2010 at 1:13 pm and is filed under In The News. You can follow any responses to this entry through the RSS 2.0 feed. Both comments and pings are currently closed.